Di Maio has reportedly opined that French President Emmanuel Macron and German Chancellor Angela Merkel would like to bring down the current Italian government. Such comments may go down well with parts of his domestic base during an election campaign. But they can backfire for a senior politician in office. What DiMaio overlooks is that stoking market concerns about a potential confrontation between Rome and the EU raises yields for Italian bonds, but not for French and German bonds. 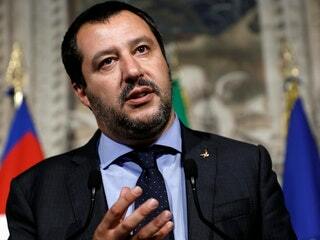 It thus weakens Italy’s fiscal situation as well as, potentially even more significantly, its bargaining position in the coming EU discussions about the Italian budget. Indeed, that negative sentiment could have a stronger dampening effect on the Italian economy than the fiscal stimulus planned by the government would lift investment intentions and consumer spending. • Early December: EU summit likely to discuss Italian budget. *Chief economist at Berenberg Bank in London.